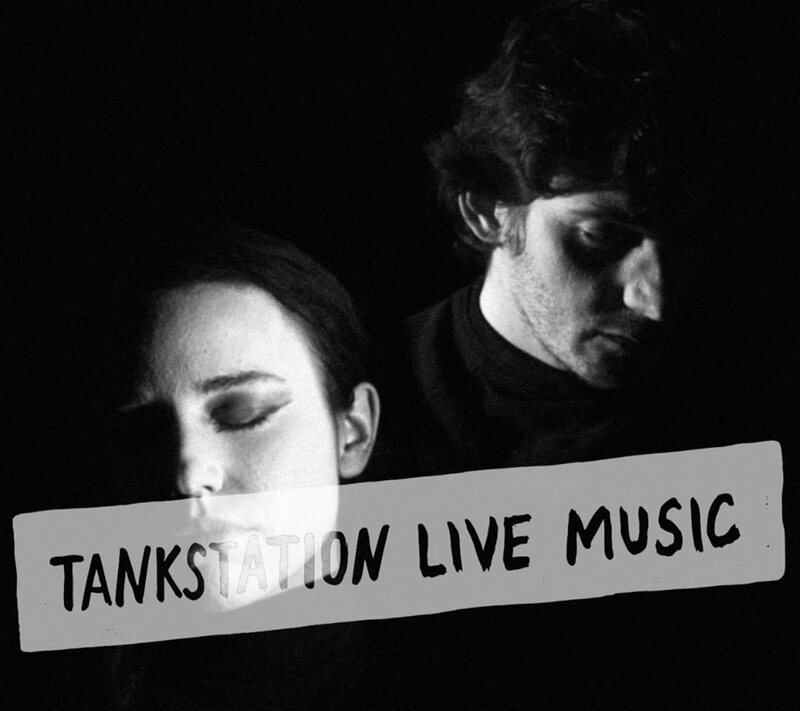 The experimental pop duo Northwest is returning to Tankstation stage! Northwest are based London, formed in late 2015 by the composer, producer and multi-instrumentalist Ignacio Simón and the singer, composer and producer Mariuca García-Lomas. Their music explores different genres, from contemporary classical music and avant-garde electronica to experimental pop, psychedelia an trip-hop. 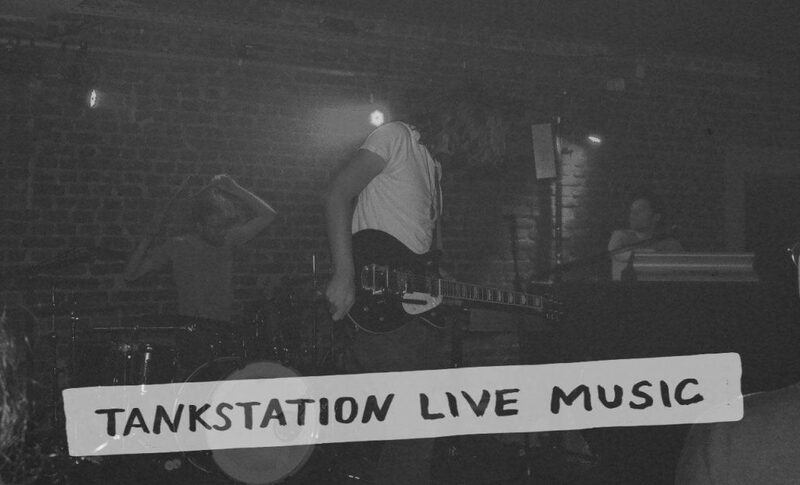 comparisons to artists such as Julia Holter, Björk, Portishead or Grouper. Their live shows and videos (with a flavor reminiscent of old soviet movies, pre-raphaelite pictures and elements of dance and theater improvisation) have demonstrated that Northwest are, little by little, crafting and curating a unique and promising universe. teared up and stuck together. Words in need to be heard. Feedback is welcome. Are you curious about the future of cities? Do you want to play a role in how the world of tomorrow looks and operates? 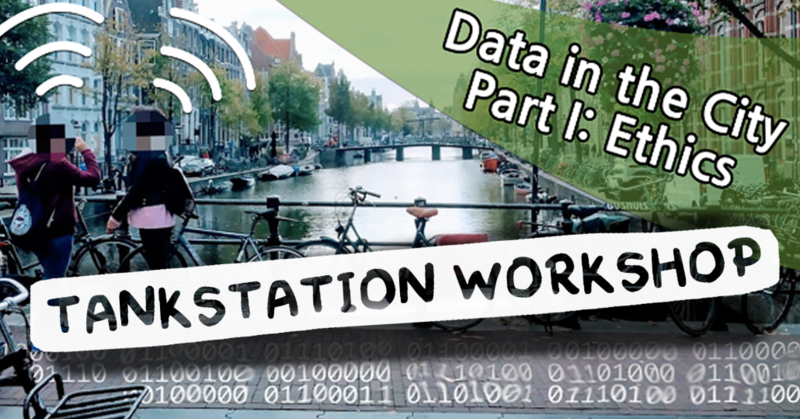 If so, you are welcome to join one or both of our upcoming Data in the City workshops. Everyone is welcome, regardless of age (although those under the age of 16 need parent permission). These workshops are held in collaboration with University of Twente and will be used to further research in the space of IoT technology and cities. We ask that participants agree to contribute their designs and thoughts anonymously. No idea what â€œIoTâ€ means? Perfect, more reasons to join the workshops! DATA IN THE CITY (PART I: ETHICS) In this workshop, small groups will be presented a case study of a real example of a “smart” infrastructure in public space and work in teams to decide 1) If the general public should be informed about it 2) To what degree should they be informed about it 3) How the general public should be informed. Afterwards, teams will present their work and all participants will vote on the best idea. (Winning team gets a prize!) But there is a catch….join us to find out more! You are welcome on the stage again. 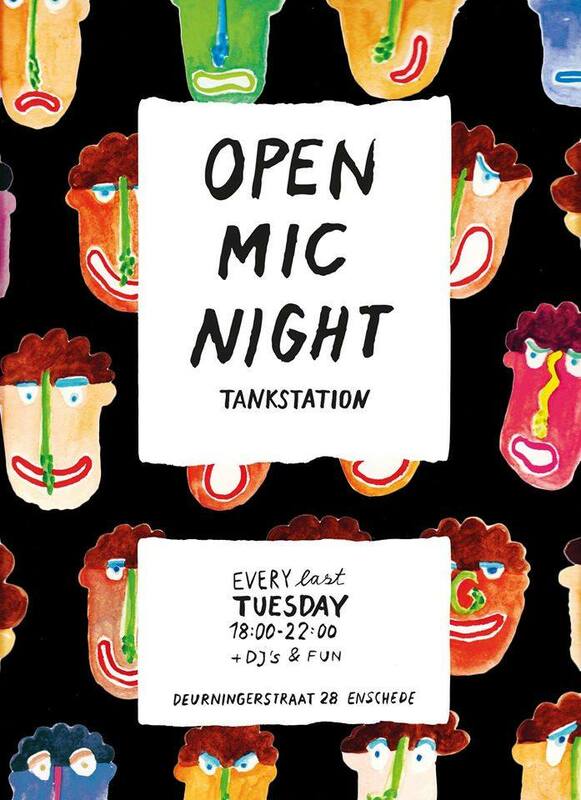 Come yourself, bring your instruments, friends and neighbours!! 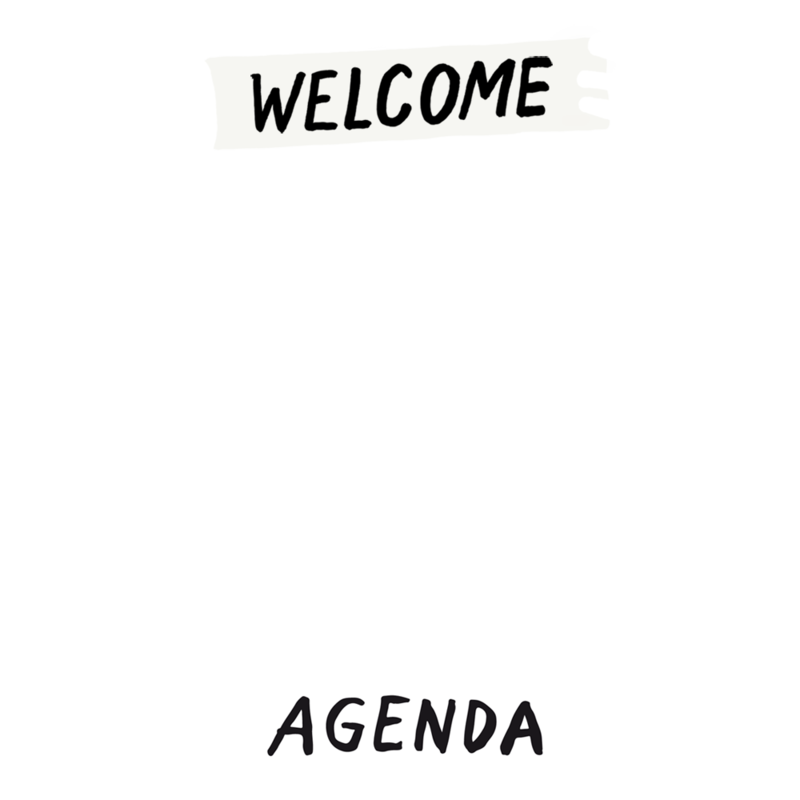 And, Please put on your agenda! 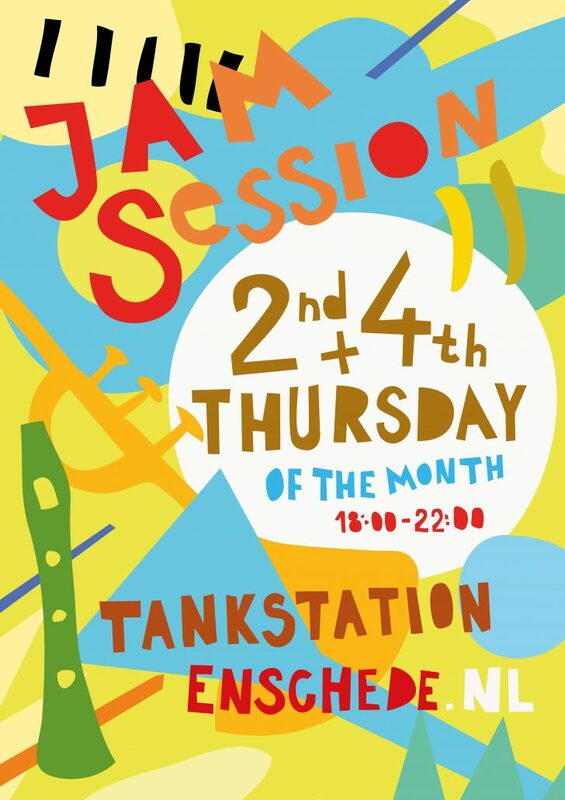 Our regular jam sessions are on every second and forth Thursday of the month. Jam starts at 19.00 or so! Be ready to fly, be free and wild! 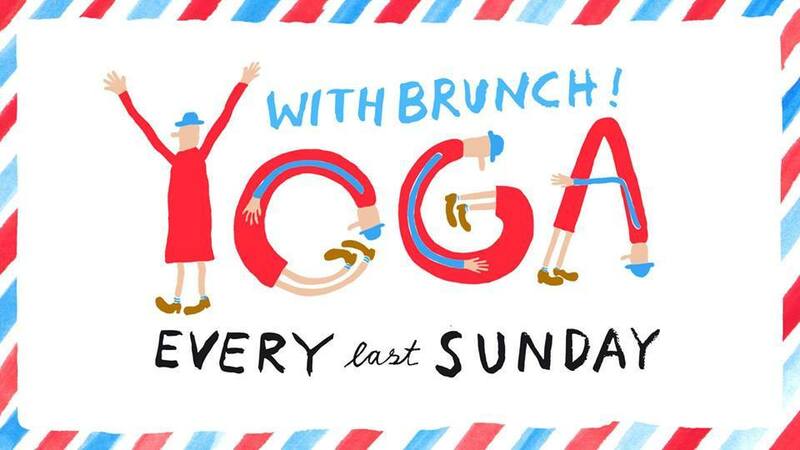 Brunch is only with reservation. For yoga you can just walk in! The stage is yours! Every last Tuesday of the month! Poetry, stories, songs , performances, whatever you like! All are welcome. 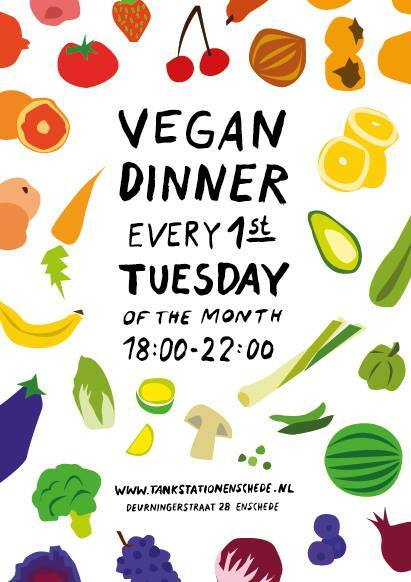 We celebrate cooking experimental, nutritional, delicious vegan meal in our community kitchen, every first Tuesday of the month. Join us at the table for a family meal! 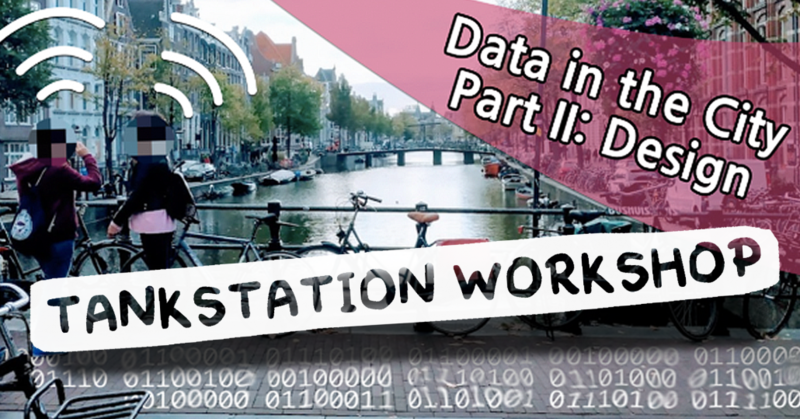 DATA IN THE CITY (PART II: DESIGN) In this workshop we reintroduce the case study from Data in the City Part I: Ethics and imagine the infrastructure is going to be installed here in Enschede. First, groups will brainstorm what they want to improve about the city (ex: more exciting, more calm), then they will think about what capabilities the technology might possess. Finally, groups will design to improve the city using the prompt â€œIf the infrastructure could talk, what would you want it to say?â€ Pictures, lego sculptures, acting out, comics, all welcome. (The favorite designs of all participants will receive prizes!) You do not need to have attended the first workshop to join! IoT in public space as a member of the BRIDE project. In collaboration with our crew member Samantha Valenzuela, from Mexico, we developed the exhibition “Long-Lost (G)love Stories” which celebrates the end of winter and the beginning of spring. An installation about and with single gloves, lost by people in Enschede, including street-portraits from gloves where they were found and imaginary stories about their owners/losers. If you still have both your gloves you have another reason to celebrate, because your glove hasn’t become a part of this exhibition, at least… not this year! Did you bring your single glove(s) by coincidence and you find a perfect or imperfect match you might be lucky enough to keep both hands warm again. 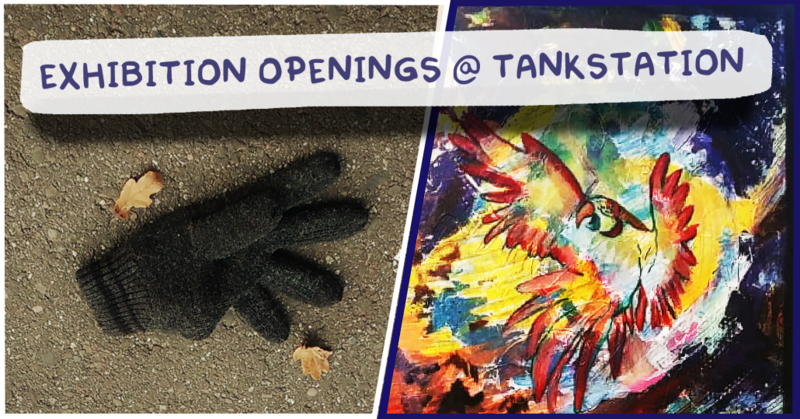 If you already bought a new pair you can donate your solitary glove(s) here! We thank Bastiaan Benders, Jeroen Benders and Jeroen Gras and all others that contributed till now to “The Work In Progress”. Now it’s the turn for Stanislaw Kasper, known for his gothic / heavy metal art, he also calls himself “dark art artist”. 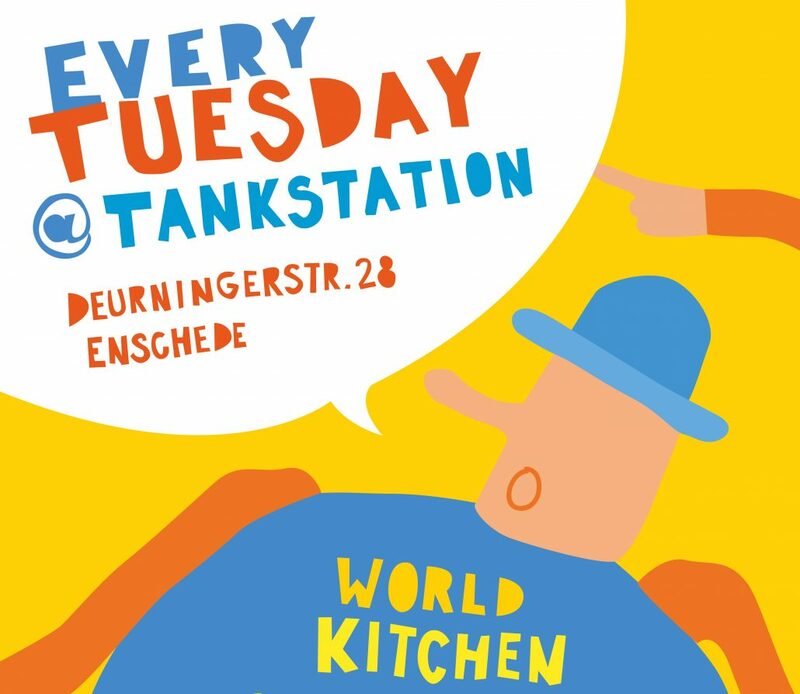 Together with volunteers from Tankstation Miriam Bonder and Chef John is he allowed to remix and replenish this mutating exhibition. Also can you see lots of plastic sculptures made by visitors at the workshop-table during the past exhibition, and there are new workshop-tables coming up. “Art At The Table” says goodbye to the beautiful mosaic by Annette Ravenshorst and makes way for a broad selection of paintings painted by Luz Graciela Jiménez Díaz, born in the capital of Colombia, and living in The Netherlands since 1991. Luz graduated in Mixed Media in 2005 at the AKI. In the “DIY STATION” (next to the table-football) is currently a workshop going on where you can make your own collage. Huge stacks of art-magazines and other interesting books and magazines give enough reasons to cut, paste and combine images. When your collage is finished it can be scanned and printed and added directly to the ehxibition. Also you can choose if you want to take the original or a print home. And still on display: the exhibition “Not Now Not Here” with paintings and sculptures by Iris van Diessen. Also shown are photos of her “home-installation” where a big part of this work originated.